Yelloh! Village has thought of everything to make your stay even more enjoyable. Discover our wide range of services designed to meet your every need. The campsite reception is here for you: BBQ hire, library, tourist info, postal service... Our staff are always delighted to help! And not forgetting all the on-site facilities: laundry, grocery store, snack bar... Our extra plus point? Free Wi-Fi on the bar terrace. 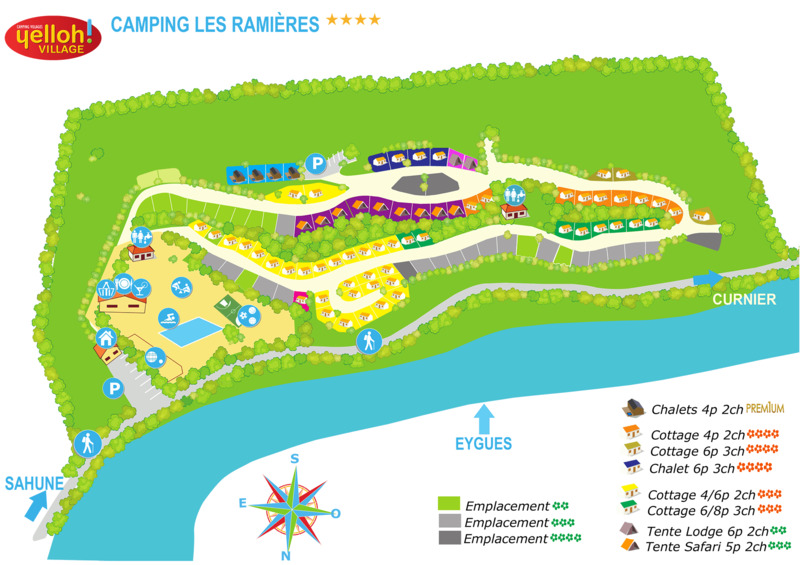 In high season, the campsite bar is open daily from 8.00am to 10.00pm. The perfect place to eat breakfast, or buy your bread and pastries. When on holiday, don't hesitate to share a meal at the campsite restaurant, open every day for lunch and dinner in high season and by prior booking in low season. Order a take-away and enjoy a meal on the terrace of your own accommodation: pizzas, homemade burgers... We’ve got something for every taste!